We now serve a variety of refreshing beverages, including whiskey, mixed drinks, and of course, Margaritas! 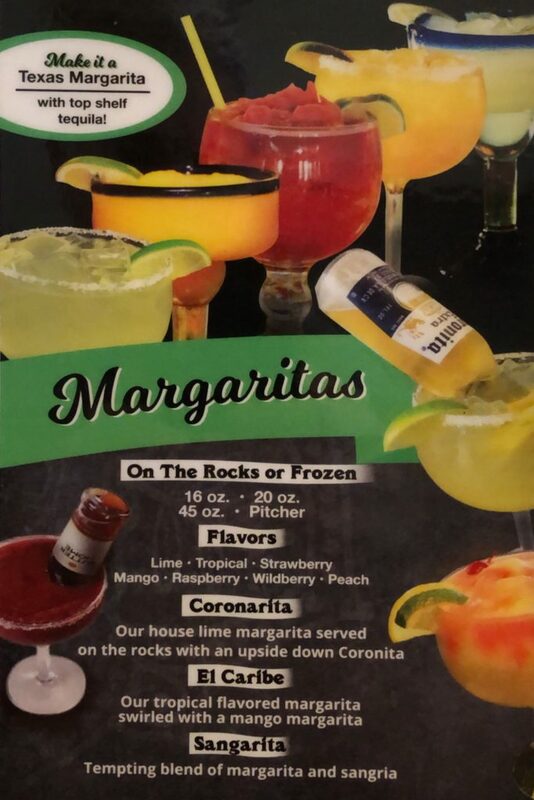 We offer a large variety of Margaritas. Choose from tropical to mango! 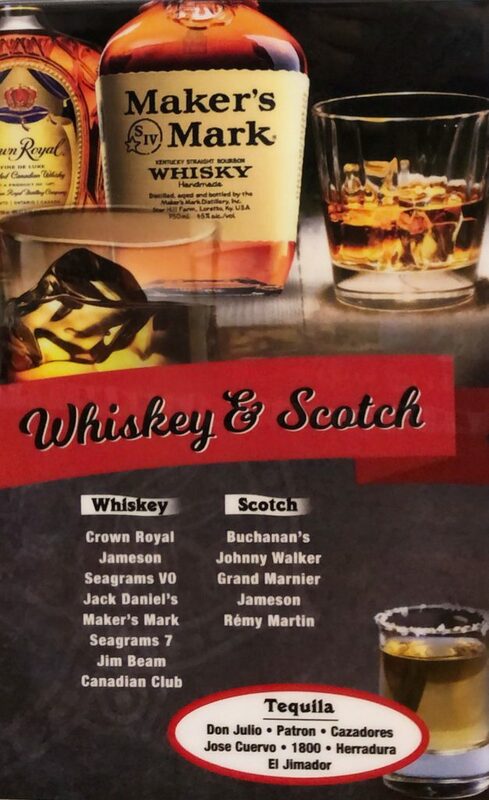 Have your favorite Whiskey on us! 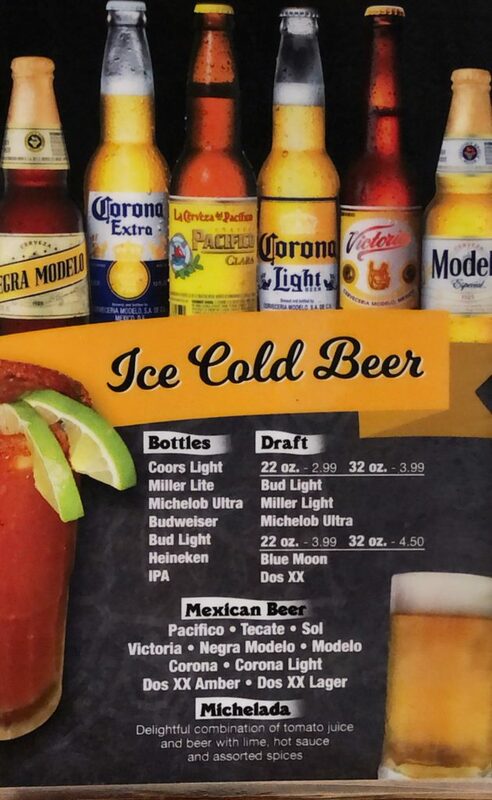 Choose your favorite Beer including Micheladas! 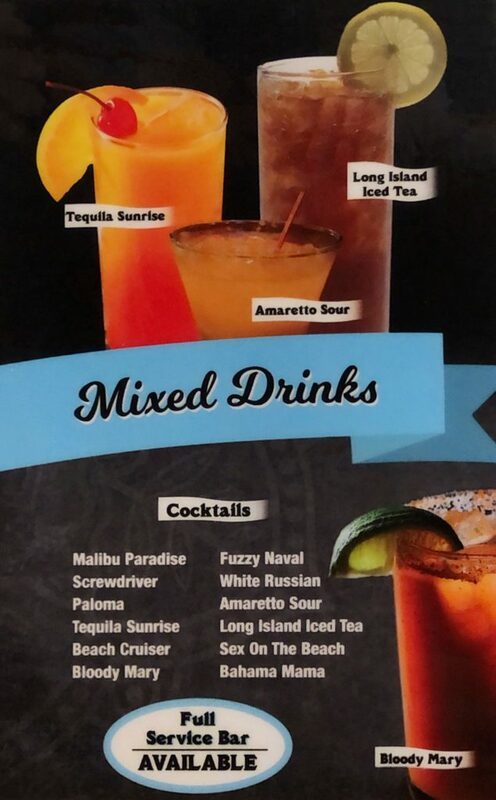 Rather have a mixed drink? Try our full-service Bar! 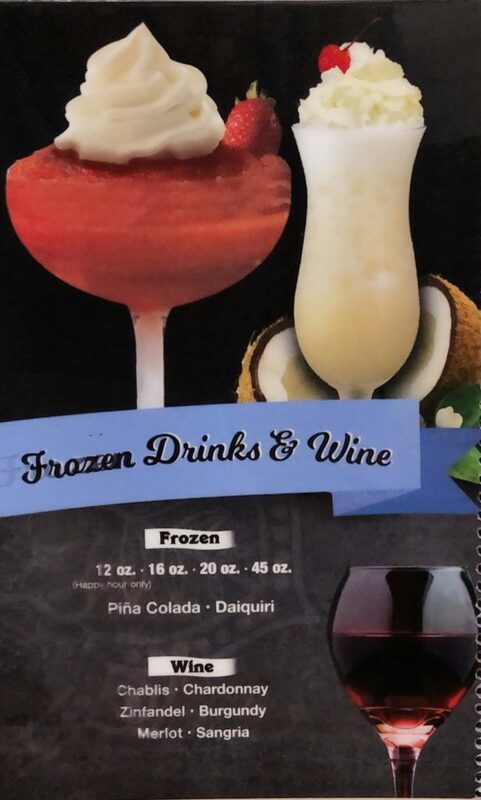 Try out a Frozen drink or Wine. Piña Colada, Daiquiri or a fine wine such as a Chablis.